"I was mad because nobody helped me to reach the gate on time," said Antonis Mavropoulos as he recalled his "lucky day". The Boeing plane to Nairobi crashed six minutes after taking off on Sunday, killing all 157 people on board. Mr Mavropoulos, president of the non-profit International Solid Waste Association, said he was initially angry as staff had not helped him and he missed the flight. "I had a 30 minute connection and my flight arrived on time. My connection ambassador came after I left the plane," he said of the company employee that was supposed to take him to his next flight. "He was trying to find me. I would like to say many thanks to this ambassador who saved my life. My luggage was on me and they didn't need to wait for me. I saw the last passengers in the corridor," he told the BBC. Earlier, in a Facebook post entitled "My lucky day," Mr Mavropoulos said he was put onto the next flight to Nairobi and only found out about the crash when he was stopped from boarding his next flight. Police cross checked his identity and questioned him on his reason for not boarding the aircraft. "The wi-fi in the airport was cut and I was worried that the news might be on the Greek internet and TV. I texted friends as I didn't want my family to be devastated," he said. "My friend told me the plane had crashed. I decided to call my family to let them know from me." Mr Mavropoulos was reportedly travelling to Nairobi to attend a session of the UN Environment Programme. He said that many of his friends travelling to the conference were on the flight. "I had friends who were travelling and were lost. Everyone at the conference is devastated. It's a very sad moment for all of us. It can happen to anyone. It was randomness." At least 19 victims were affiliated with the United Nations. He said: "I'm grateful to live and that I have so many friends that made me feel their love." "Everyone was asking the cabin crew what was happening, but no one was saying anything," he told The National newspaper. 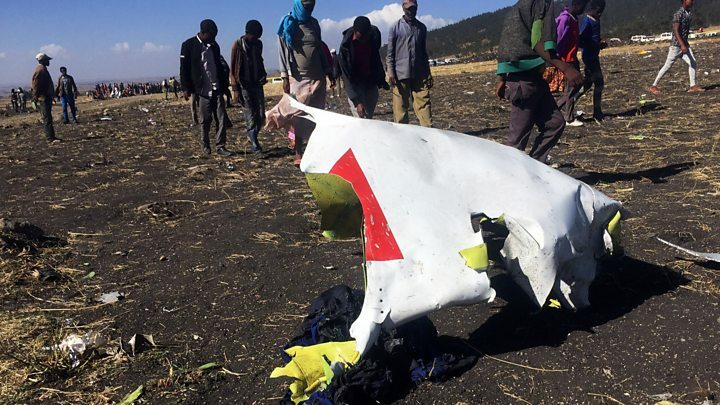 "They were just going up and down until one of the passengers saw on his mobile that the first plane which had just flew, like six minutes after it flew, it just crashed." He said: "I was shocked but shortly after, my son contacted me and told me he is still in Addis and did not board that flight."